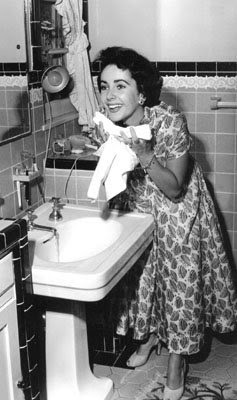 The British-American actress Elizabeth Taylor passed away on March 23, 2011 due to congestive heart failure. In her youth, her striking violet eyes and raven hair thrust her into stardom in such roles as National Velvet and Lassie. She went on to become a style icon and personified glamour in the 1950s with her fair skin, short dark hair, red lips, bewitching eyes, and hourglass figure. In a sea of blondes, she stood out from the crowd. And she garnered serious acting roles in epic movies such as Giant, Cat on a Hot Tin Roof, and tipped the scales earning $1 million to star in Cleopatra. By the 1970s, her love affairs made her the subject of tabloid fodder. She battled addictions and struggled with her weight. In 1988, Taylor had regained control of her weight and self image, and wrote a book about it called Elizabeth Takes Off: On Weight Gain, Weight Loss, Self-Image, and Self-Esteem. This was the first diet and lifestyle book that I had ever read. I went from thinking of her as the fat drunk that comedians like Joan Rivers liked to rip on, to a wonderfully insightful and compassionate woman, who was simply bored with her life as a senator’s wife and had let herself go. She shared her struggles with honesty and, more importantly, focused on how eating fruits and vegetables and staying active was vital to being healthy. She served as an inspiration to women who had real weight problems in the wake of Jane Fonda’s aerobic videos. Another book of hers that provides some amazing eye candy and a glimpse into her life is 2002’s My Love Affair with Jewelry, in which Elizabeth shares actual sized photos of her extensive jewelry collection and anecdotes about how she came to possess some of the loveliest jewels in the world. 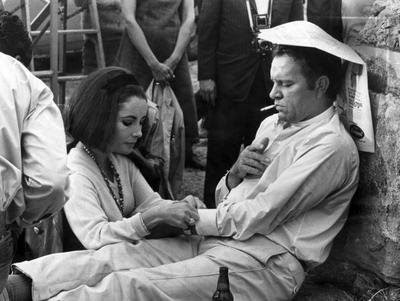 Elizabeth was also one of the first celebrities to have their own scent available to the masses. Her White Diamonds fragrance, which was launched in 1991, is still the best-selling celebrity endorsed perfume. White Diamonds, and her spin-off scents including Black Pearl and Passion, brought in $76.9 million globally in 2010. Known by the iconic golden egg of sweet-smelling juice with the pave crystal bow, a bottle of White Diamonds was the go-to gift for women in the 1990s with its lovely floral chypre and powdery, sweet dry down. Many of those original fans have made it their signature scent over the past 20 years and it continues to sustain its customer base. In recent years, she proved to be a fighter who set out to get things accomplished—especially in regard to providing quality of life to those suffering from HIV/AIDS. Although her bios are flanked with all of the elaborate gifts she had received in her lifetime and the roles she won and lost, her true legacy is in the giving that she did at a time when the gay community didn’t have much of a voice. She was a staunch advocate and blazed a trail to provide funding for research that really did save millions of lives. She never stopped giving, and her businesses and books will continue to raise money for her very worthwhile cause, the Elizabeth Taylor AIDS Foundation. She fought for her friends. Long after friends like Rock Hudson and Michael Jackson were gone, she showed her unconditional love and acceptance for who they were without reservation. In the aftermath of Hurricane Katrina in New Orleans, Elizabeth sought ways to reach out to the AIDS community in that area. She then partnered with Macy’s to donate a 37 foot "CareVan," which was deployed to provide vital care to the HIV/AIDS community in the Gulf Coast. The NO/AIDS Task Force was also gifted with a check for $40,000 from Elizabeth Taylor and the Elizabeth Taylor AIDS Foundation. Her family has asked that memorial contributions be made to her foundation. Beautiful tribute to and from a beautiful lady. I bet ET will be getting her wings soon if she hasnt already. Lovely, Melanie, and I love the pictures you chose to use in your tribute. Thank you for this beautiful tribute to a most remarkable lady. I have loved her all my life. Very fitting tribute to a woman who was beautiful inside and out. I still have a bottle of White Diamonds among all my scents. I love the fragrance and always get many compliments when I wear it. What a beautiful actress she was. We cant forget her for a long time.